The Juice Merchant is a small family-owned neighborhood business. We truly believe in our community and the healing power of food. Our team is passionate about enhancing your well-being by using 100% natural ingredients. Our menu offers a wide range of fresh pressed juices that are made to order or bottled for your convenience. We offer smoothies as well as sweet and savory dishes and take pride in providing the community with a healthy plant-based alternative. We have always donated a portion of our profits to charity and we appreciate your continued support. We humans need positive energy, thoughts, and care. We try our very best to provide that when you visit any of our locations. Peace and love, respect and patience is a way of life for us. We hope you will join us. 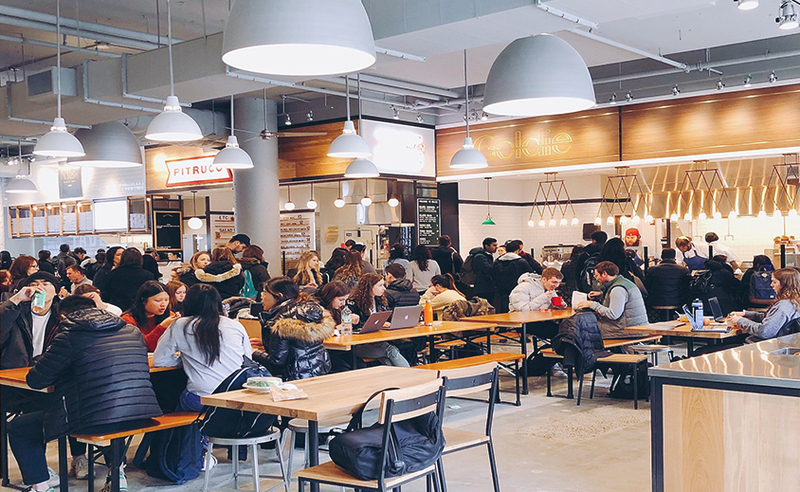 There’s something quite special about Franklin’s Table, the 8,000-square-foot food hall turning out sweet and savory selections from seven of Philly’s most exciting chefs.